This little bit of holiday awesomeness was written by Mrs. Claus http://blog.eppohan2.com/?p=2467 (I mean my wife, Denyse). To all those who celebrate the holiday I say Merry Christmas. To those who donai??i? ?t I say Happy Friday! Enjoy! Not a carb was found lurking near fit, plump or slim. Just waiting for clients to pick up a pair. No visions of sugarplums would be permitted. 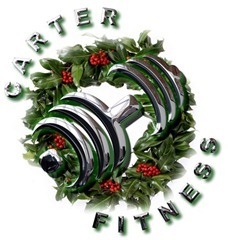 Carter Fitness is there, if from your diet you fall. Josh sprinted outside to see what was the matter. But a red suited man with no fitness regime. Josh knew in a moment what had to be done. Take this fellow inside, have him drop and give me ten! 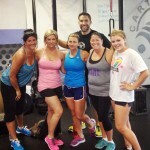 With an armful of weights and a kettle bell too! 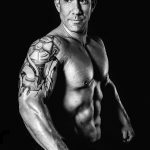 They sculpted the old timer’s chest, glutes and hams. He grew stronger and leaner with each huff and puff. Yet his twinkling eyes said he wasn’t done yet. He finished his circuit then joined the Bootcamp! He was fit as a fiddle, which for him was a thrill. Then he flew out the door with his new, smokin’ bod. "I’m giving up Ho-Ho’s, now it’s protein for me!"